We will be using the workspace from the previous section, but you could of course also use an FMEServerNotifier to send your email. Modify the properties of FMEServerEmailGenerator. 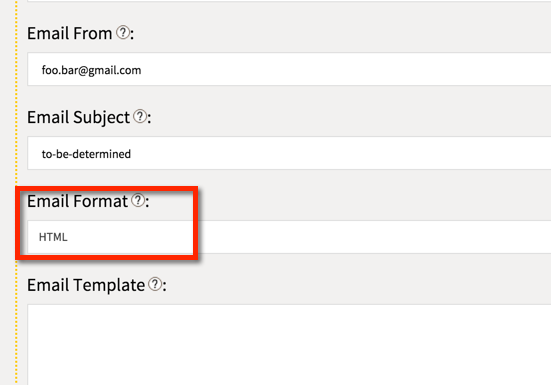 The HTML email content is entered in the message field. It is generally easier to edit HTML in the advanced mode of the editor. If you want to use the example HTML above, you will also need to create a published parameter called LizardLocation, copy it to an attribute, and replace spaces with “+” so that the Google Maps search is properly formatted. See the attached workspace for details. Note that not all email clients support <head></head> tags, so it is better to use inline styles, as in the example above. For more information about formatting, see the HTML and CSS references at http://www.w3schools.com/. You can simply republish the workspace. If you have created a new workspace, or downloaded the provided one, publish it as before, selecting SEND_EMAIL as the topic to publish to on success. Since you will be sending a different MIME type (text/html instead of text/plain), you will need to configure this using the FME Server web interface. You can now run the workspace via the Job Submitter service, and you should receive an HTML email. Troubleshooting for this section of the tutorial is mostly the same as for the previous section. In case of HTML formatting not working correctly in your email, try to use the simplest formatting possible, and add to it gradually. 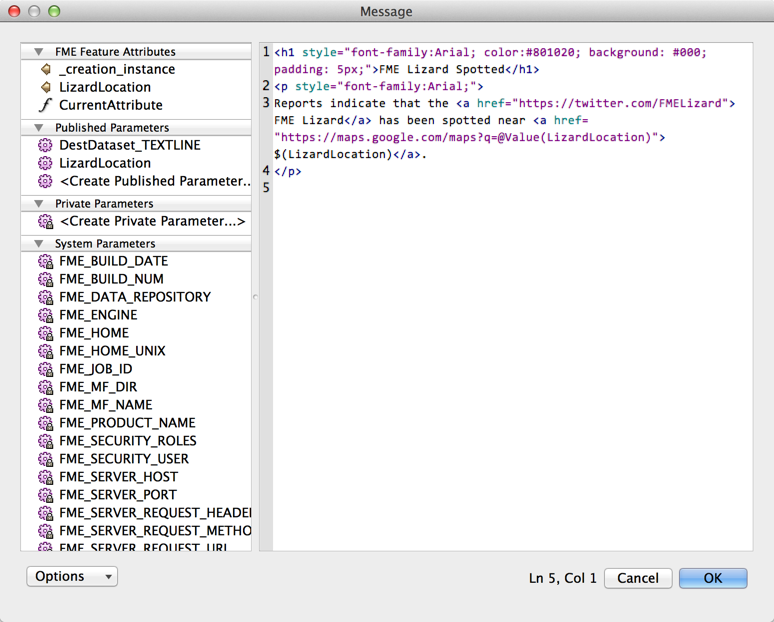 In this part of the tutorial, we’ve sent an email with HTML content. This allows you to format your content more effectively, increasing readability and allowing you to create links without needing to display the entire URL in the text. If you’ve worked through all the basic tutorials, you are now ready to continue to the advanced tutorials, or to incorporate email into your own workflows.